Valve has announced new additions for the co-op and competitive survival-horror Left 4 Dead series (yes, both of them!). 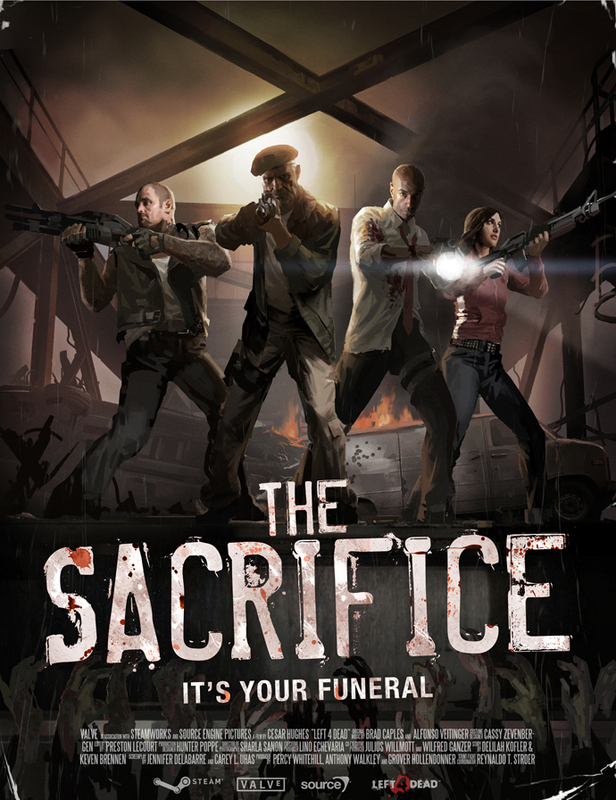 The Sacrifice, currently in development for both L4D and L4D2, can be expected for release on October 5, 2010. A proud child of the 80's, I grew up playing Sonic the Hedgehog games lovingly on my Master System 2. I had my first gaming experience, my first speed run, and my first gamers cramp all with Sonic and Sonic 2. I was one of those people outraged when Nintendo started releasing Mario & Sonic stuff, I come from a generation where it was EITHER Mario OR Sonic. Never both. You had to pick your allegiance and stick with it until death staked its claim. Having missed out on Sonic Adventure the first time around (on DreamCast), I jumped at the chance to see first-hand what I had skipped. The rule we all know and love: 4chan is not your personal army... unless your goal is to disable the RIAA and MPAA - both known for their aggression toward piracy. The MPAA hired Aiplex Software, an anti-piracy firm, to launch a distributed denial of service attack (DDoS) against torrent websites allegedly infringing on copyrights. 4chan, in its stalwart humility and irony, turned the tides of battle and sent forth their own digital wave of attacks against the MPAA's contractor. Anon's response is quoted below. If you missed out on our coverage of the new arena FPS game by Illfonic, all you need to know is this: combine Quake, Unreal Tournament, and some artistic inspiration (indirect or otherwise) from Halo, and you get Nexuiz. The team has some of the nicest, most spirited developers I've met from a game studio. Nexuiz is sort of a tribute to twitch gamers of the past, and unlike some of the larger companies out there, they are developing the game just as much for themselves as for the nostalgic audience. The developer has to have fun with it too, right? Check out the new teaser trailer below, and check back frequently for more coverage as this intriguing game progresses. THQ announced today that gamers who pre-order Darksiders: Wrath of War for the PC will also get another game free of charge. The free item is determined based on your distribution outlet (below). Today is a joyous day for those of you that loved last year's spaceship-crawling, run-n-gunning hit Alien Breed: Evolution for Xbox Live Arcade or this year's Alien Breed: Impact for Playstation Network and Steam. Screw that, it's even a great day for anyone that just likes run-n-gun shooters. Team 17 have officially announced the next episode in their ongoing Alien Breed franchise, dubbed Alien Breed 2: Assault. Victoriously returning from the magnetic grasp of skepticism, Tron: Evolution races toward market-wide acceptance. Initial impressions were less than amazing, and unfortunate events magnified the uncertainty of this writer immeasurably; however, my recent interview with Darren Hedges, a Director at Propaganda Games, revealed the many hidden intricacies of Tron. 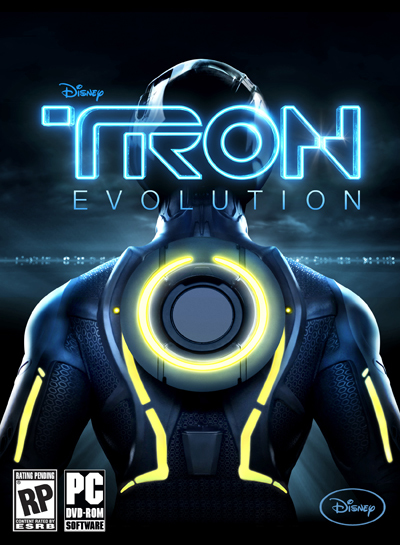 Although I still reserve a healthy hesitation with any franchise- or movie-based game, especially given Disney's history of sub-par titles, the future of Tron is somehow different, we explore exactly why below. Nothing brings me back to my childhood faster than some well-placed dynamite to the face. Aaah. Good times. Worms. Starting out as the pipe dream of a single game designer, Andy Davidson, those little smart mouths have squirmed a long way in fifteen years. From publishing and development via Team17, all the way to capturing the imagination and free time of just about every PC gamer for the past decade and a half. Nearly thirty years after the dorky, sub-culture debut of Tron, Flynn returns with his crew to the big screen and gaming platforms near you. The hands-on demo at PAX Prime this year proved chaotic and unorganized, but nonetheless entertaining. By the way, our favorite PAX titles can be found here! The line extending from Disney's booth coiled within itself, easily a one hour wait for half the play time. Towering "TRON" letters flanked either side of the booth, glowing ominously from the blue-white backlighting; a slick lightcycle (below) remained the subjects of photography all weekend, and even the game controllers had special Tron lettering. Disney ranks as a world-leader in entertainment and presentation - they spend lots of money and spruce up the exterior, and hopefully do not neglect the content within. Notorious for games that are either too hard, too repetitive, or just lame, the publisher already had its back up against the shiny, glowing Tron wall.